The government has amended the guidelines for short-term procurement of power by discoms, making it mandatory for such transactions to be processed online under the reverse auction route to bring more transparency into the system. 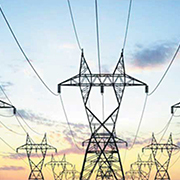 A power procurement period ranging from a day to a year is considered as short-term. Under the guidelines, the bidders, during the auction, will have the option of reducing the tariff quoted by them in decrements of one paise or multiples thereof, and to increase the quantum quoted by them by 1 MW or its multiple. During the reverse auction, the prevailing lowest tariff would be visible to all the bidders.